Darwin Face Painting, Darwin Balloon Twisting, Darwin Clown, Kids Entertainment. Add a little Brush Magic to your event. 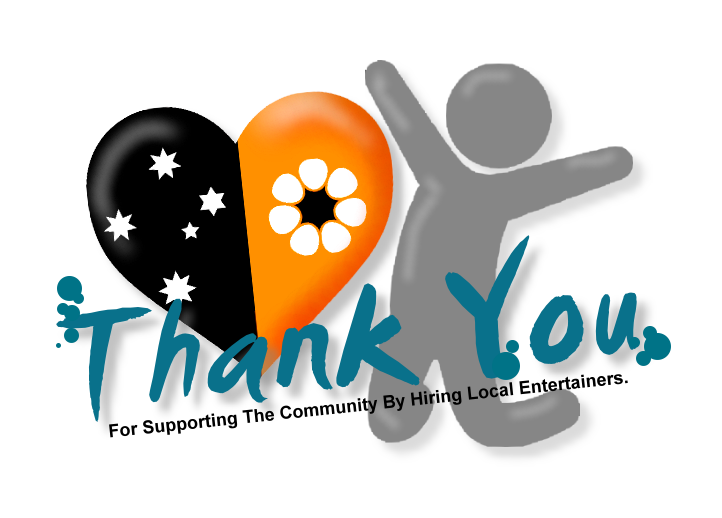 Darwin, Palmerston & Rural Areas peeps its Perfect for Adult and Children's Parties, Children's Entertainment !! Covering on average 15 - 20 faces per hour depending on the design and detail of each face. Allowing between 3-5 minutes per face for basic designs. That's SUPER fast painting for a Pro Painter while still providing quality art work. If you require just an individual face being painted not a problem, call to discuss details. "Sparkles" the Christmas Elf - Fully costumed balloon twisting Christmas elf. Adding the charm of the festive season. Darwin Face Painting, Darwin Balloon Twisting, Darwin Entertainment. All bookings are subject to availability and confirmation.